Even though road casualties have dropped in recent years, they still happen. What might shock you is the thing that causes most casualties: drunk driving. Many people are still getting behind the wheel of their vehicles after drinking alcohol. Have you ever driven your car after having a beer or two? If you've not had an accident, you've been lucky. But, many motorists aren't so lucky. And neither are the people they crash into. The worst case scenario of a drunk driver that has an accident behind the wheel is they could kill someone. In the United States, 28 people die each day because of a drunk driver according to the CDC. That equates to 10,220 people a year. You might not think it at the time. But, alcohol will impair your ability to think properly and deal with hazards on the road. Let's say you have just one beer and you get pulled over by the cops. They do a breathalyzer test on you, and it shows you're over the limit. Life can get pretty bad for you from this point! What some folks don't realize is that some breathalyzers might not give correct readings. 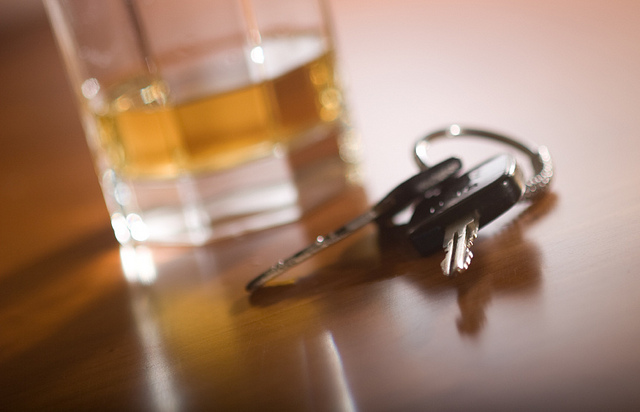 If you're sure you're under the limit, you'd need a DUI attorney to help you refute that claim. Of course, the ultimate solution is just not to drink any alcohol at all. That way you'd always get a "nil" reading. Even if the breathalyzer equipment needs calibration. People that get caught drunk driving will usually have their driver's license revoked. That means they won't have any legal entitlement to drive a car on a public road. Sure, you could use public transport to get to various places each day. But, if you rely on your auto for work, for example, you've got a big problem on your hands. No-one ever thinks about it at the time. But, after they got caught drunk driving, something else happens. They immediately have a social stigma attached to them! People that you thought were your friends might not wish to associate with you anymore. And others will not trust you behind the wheel if they are a passenger in your car. Another unfortunate side effect of drunk driving is losing your job. It's something that could happen for many reasons. First of all, you could lose your job if you need a driver's license for work. And, second, your employer might not want to hire someone that's committed a crime. So, if you go out and want to drink, let somebody else drive.